Inspired by the 2012 Olympic route, this 100 mile ride is challenge not to miss! Please do get in touch with us if you are interested in taking part and joining our team of Wish Warriors. This ride starts in Queen Elizabeth Olympic Park, then follows a 100-mile route on closed roads through the capital and into Surrey’s stunning countryside. 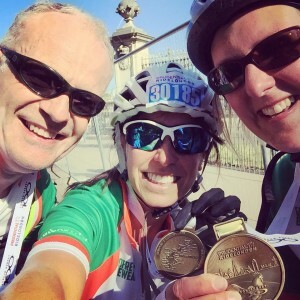 With leg-testing climbs and a route made famous by the world’s best cyclists at the London 2012 Olympics, it’s a truly spectacular event for all involved. Prudential Ride London finishes on The Mall in central London shortly before 150 professional cyclists race in the inaugural Prudential Ride London-Surrey Classic on a similar route. 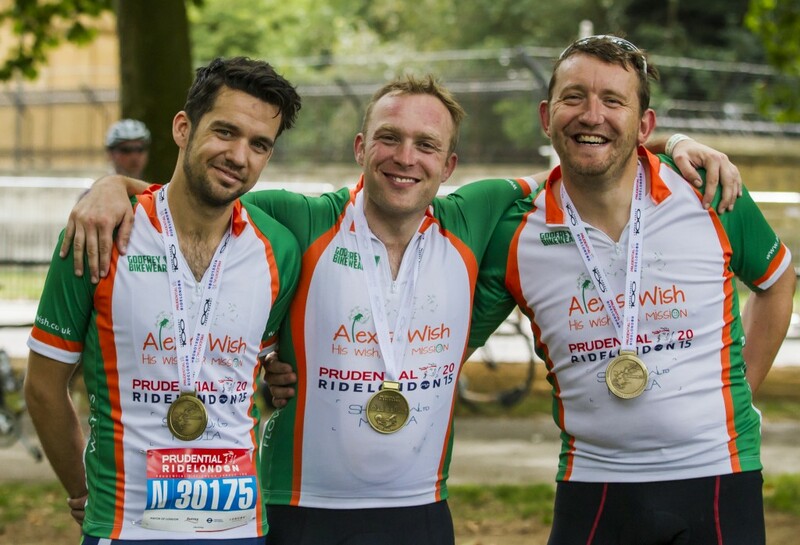 More than 70,000 cyclists took part last year raising £7 million for charities. The 2019 event promises to be even bigger and better! The route is perfect for both club and recreational cyclists. Slower cyclists can enjoy a challenging ride whilst faster riders will relish the opportunity to pit themselves against the country’s top amateurs. As well as a personal challenge of completing the route – this is a truly spectacular cycling event available to anyone! “I started training in the Spring time as I didn’t fancy getting out on my bike over the Winter months. I was concerned I hadn’t left myself enough time, but within 3 months I was able to ride 100 miles! I really hadn’t cycled a great deal before then just the odd ride with my family. It was one of the most thrilling experiences of my life! At the start point I had a jittery feeling in my tummy, the music started and off we went. Cycling on closed roads in London is thrilling there really is nothing quite like it. The views are amazing. And what made it extra special was that so many people lined the streets and held parties outside their houses to cheer us on, the atmosphere is nothing I’ve experienced before.